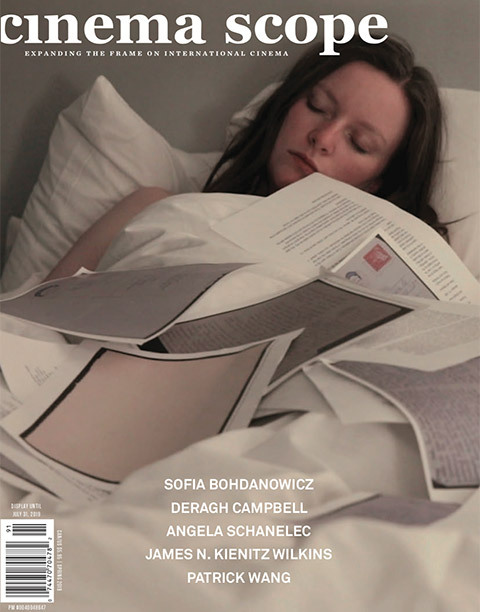 MDFF and Cinema Scope co-present a screening of Golden Exits (with Alex Ross Perry in attendance) at TIFF Bell Lightbox on Tuesday, October 17 at 8:45pm, as part of the ongoing screening series MDFF Selects: Presented by Cinema Scope and TIFF. Geographically not far yet nevertheless a world away from the boardwalk of Eliza Hittman’s Beach Rats, Alex Ross Perry’s Golden Exits trades equally in self-duplicity, but the anguish is less visceral and more cerebral (and also more risible). The film’s measure of inertia among its characters is putatively more eloquent, loquacious even, which appears to be part of Perry’s paradoxical point. Pressed to summarize the plot to various Sundance media before its competition premiere, the director was keen to downplay any narrative thrust that might serve as a convenient hook: “It’s about two families in Brooklyn,” he said, as if the title itself weren’t provocative enough. 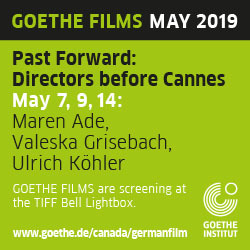 Perry’s forebear here is of course (late) Rohmer, and Golden Exits is likewise a seasonal tale, comprised of “shreds of life” (to borrow a phrase from one of Conte d’automne’s  garden philosophers) in which the machinations of drama are primarily linguistic. The outmoded “literary” quality of Perry’s work (as if talk was something to be cherished in books but not cinema) is part of its anachronistic appeal, along with its innate causticity, something perhaps lost in translation within the preferred metrics (which reaches critical mass during Sundance) of sympathetic characters and redemptive narratives. 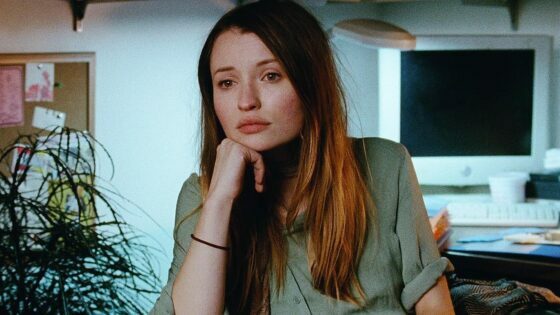 For the record, Golden Exits does feature an exceptionally likeable character, who functions as a structural foil to the collective cynicism of the film’s interpersonal and internecine relations among a group of Brooklynites bound by less-than-apparent family ties. That she’s a foreigner only lends to the intrigue: young, cute, and first glimpsed singing “Back in the New York Groove,” Naomi (Emily Browning) is plunked down in Brooklyn for a spell as an archivist’s apprentice and doesn’t know a soul, save for an old friend, Buddy (Jason Schwartzman), who she met as a child on her only trip to the city (the connection initially appears trivial, except that the film hinges upon the certain ineluctability of emotional inheritance, however small). The archivist Nick (Adam Horovitz) pretends to be unmoved by the arrival of this angel in his office, though the camera often catches him compromised by furtive glances behind his corny spectacles (they detach at the bridge of his nose like a character flaw, open and closed to his current state of emotions). Withdrawn by nature and profession, Nick is less than convincing in his descriptions of self-styled happiness, his world neatly contained within a few walking blocks, and the artifacts of other people’s lives contained on a dolly he schleps to and from work. He marvels that an entire universe can fit into one room, but he can hardly bring himself to go out for a beer with his buddies on his birthday, let alone “talk to people younger than me.” He seems comfortable in his dissatisfaction, but Naomi’s straightforward demeanour and emotional candour clearly get under his protective layer (her charm, too, is anomalous to the point of being coy, baiting characters and audience alike). The two constitute the film’s emotional axis, a primary incongruity around which a host of supporting players orbits, their ties incidentally revealed in an unforced manner — suffice to say that the family trees are full of broken branches. Nick’s client is also his vitriolic sister-in-law, Gwen (Mary Louise Parker), who seethes with undisguised contempt for a man she deems unworthy of her sister’s affections yet trusts with her late father’s memorabilia. Nick’s wife Alyssa (Chloë Sevigny) is a therapist with misgivings about Nick’s historical predilection for infidelity, which destabilizes her professional composure and makes her vulnerable to the imagined threat of Naomi, who seemingly just wants to see the city and make friends. Buddy feigns to be her wingman in this but can’t bring himself to own up to it with his wife, an instance of the little lying-by-omission that Perry excels at extracting from his burred social fabric (which, as a well-woven tapestry of competing claims, rivalries, and insinuations, seems to smother all involved and can’t keep anyone warm).